Our music can be licensed for use on YouTube, however, there are some special considerations that need to be understood and adhered to. The content below covers all aspects of using our music on YouTube and answers many of the common misconceptions and frequently asked questions we get asked. If you are using our music on YouTube please be sure to study this page and email us if you have any questions. Content ID is a method that composers and publishers use to protect against unlicensed use of their music. Basically it generates revenue for them by placing adverts on videos. However, if you have bought a license a copyright claim can be cleared so that you can monetize your videos and channel. Some of our music is in such systems and is dealt with by companies such as AdRev and the Orchard on behalf of the composer or publisher. Please do not use the YouTube dispute process but do follow our best practice process for publishing your videos on YouTube. This can usually be done within 72 hours (excluding weekends or holidays). The claimant. e.g. AdRev, The Orchard Music etc. If you are a vlogger, making a corporate video or instructional video you can use our music on YouTube with our Standard License. In this situation you will be using our music as part of your overall production and the main purpose of your video is to convey information. You will be using our music to underscore your narration and visual elements. You are covered by our standard license and you can use the music as many times as you like on your channel without restriction on how many views the license covers. This is because you are using our music to enhance your production and your channel attracts views because of you and your video content. The popularity of your channel has nothing to do with our music, it is just a supporting element. Where our music is being used in its entirety with no other instructional or spoken element but just has a still image(s), animation, lip-syncing or mime with the purpose of monetising the content we have a different license policy for this. In this scenario the music is a major part of the content with the purpose of getting as many views as possible to generate revenue from monetization. Types of videos include but not limited to Nursery Rhymes, relaxation, Christmas music. 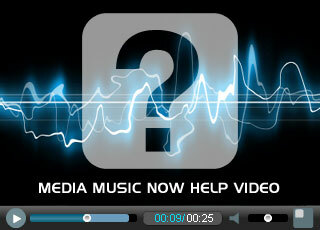 This is covered by our standard license but is only covered up to 1,000,000 views per license. Whether it is 1,000,000 views on one video or over a number of videos, it is the total number of views that matters. At the point you are reaching this limit you must obtain a relicense by contacting us directly. We have done this because some videos reach over a billion views and many more achieve millions of views. The YouTube rule of thumb is approx £800 of revenue per one million views. As an example one billion views would generate approximately £800,000. This is grossly disproportionate to the cost of a single music license and the reason for our policy is to protect the interest of our composers/publishers and Media Music Now in such events. With our 1,000,000 views policy you can earn approximately £800 for a cost of a license (£30 approximately) which is less than 4%. A YouTube Music Video Relicense is basically the cost of the license again for a further 1,000,000 views. Where your income is being generated in this way our music is responsible for at least half of this effort and our license cost and relicense policy is extremely fair and economical. Increasingly, composers are registering their music in YouTube Content ID and this affects YouTube users who are using licensed royalty free music in their videos. This affects all music libraries and all users. Our approach is to be proactive and inform you of these facts so that you know what to expect and do. We do not want to wait until you have a problem so we have provided the facts to help avoid it in the first place. When we say problem, we are only talking about a slight inconvenience caused by YouTube's Content ID system; one that we can help resolve quickly (with music licensed from us). As you will discover, despite what others might say, there is no way of guaranteeing that music is content ID free. Using a library that claims to be content ID free will not guarantee that you don't have a content ID issue. Why is only some music registered? Some composers prefer to keep music clean of content ID to make using it on YouTube simpler. However, others feel the need to register it to protect it. There have been several damaging cases that we know of where composers have had their music stolen and entered into content ID illegally by fraudsters. This causes problems for users that have legitimately licensed the music, the composer and the music distribution library. Some composers are registering to avoid such issues and maintain control over their music. Once someone has fraudulently abused a composer's music, it not only damaging to a few people, it has a ripple effect that affects everyone who has ever licensed that piece of music. To prevent such cases, more and more composers are putting their music in content ID but have the means to allow you to use the music without restriction or future issues. Why Can't I Dispute the Copyright Claim through YouTube? You may be familiar with disputing the claim yourself, however, our process tells you to do it via us. It may seem counter-intuitive, especially when YouTube offer a perfectly adequate dispute process but there is a reason we need to do it our way. There are many companies that provide this digital fingerprinting service that allows content owners to make claims on videos. Each composer or publisher can choose their own. Some are great at honouring disputes when a user has a commercial license, such as AdRev, however, unfortunately, there are others that are not. For example, The Orchard frequently reject our clients disputes through YouTube's dispute process, which is potentially damaging to their accounts. For this reason, we cannot take a chance with your YouTube account and request that all of our clients follow our process and refrain from using the YouTube dispute process as we know we can help clear claims. If your video is flagged by YouTube's Content ID we will do our best to help get this cleared for you (on music licensed from us).